YOU are the roots that anchor this project to the North Country. Your questions, comments and suggestions are an integral part in helping us develop a project that meets your needs, and the needs of our community. So get outside! Explore, examine, share, and help Nature Up North become the project it is meant to be. Nature Up North is the brainchild of Dr. Erika Barthelmess who is a vertebrate ecologist and conservation biologist. 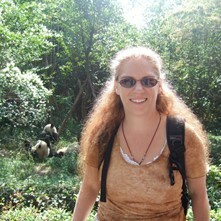 Erika works as an Associate Professor of Biology at St. Lawrence University. She earned her B.A. 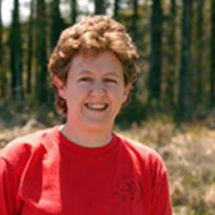 in Biology at Earlham College, her Ph.D.in Systematics and Ecology at the University of Kansas, and conducted post-doctoral research at Vanderbilt University before arriving at St. Lawrence.Her research interests are broad and include the biology of small, isolated populations, the intersection of behavioral ecology and conservation, road ecology, and the ecology and natural history of porcupines. Her longstanding interest in environmental education began as a college student when she worked in a local museum offering programs for local school groups. More recently, she has provided educational programing for State Parks and local North Country schools. In her spare time, Erika enjoys hiking, canoeing, and Labrador retrievers. She is also the past-president of the St. Lawrence Land Trust, a North Country conservation organization. Emlyn Crocker is 2015 graduate of St. Lawrence University, where she studied Conservation Biology. Since graduating she has pursued various ecological opportunities, working as a field biologist for the Loon Preservation Committee in New Hampshire, monitoring nesting leatherback sea turtles for the U.S. Fish and Wildlife Service on St. Croix, and more recently leading K-12 hiking trips as an Environmental Educator at the Appalachian Mountain Club. 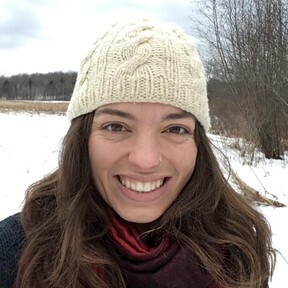 Emlyn hopes to inspire ecological engagement and belonging within the North Country community through her role at Nature Up North. An enthusiastic adventurer, in the winter she can often be found cross-country skiing, hiking or curled up by the fire with a good book. Abrianna Schlickenmayer is currently finishing her junior year at St. Lawrence University majoring in Conservation Biology. Abby discovered her love for nature growing up in a small town in southern California just outside Joshua Tree National Park and now takes every opportunity to get outside. She is happiest outside doing yoga, hiking, and exploring nature through the viewfinder of a camera. As a digital media intern at Nature Up North, Abby enjoys sharing her love of nature photography. Stephanie Muldrew, originally from western Massachusetts, is a senior Environmental and Global Studies major at St. Lawrence. 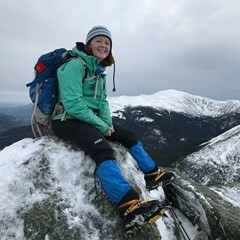 She finds happiness simply being outside, and loves running on the trails around campus, hiking in the Adirondacks, learning about local flora and fauna, and sharing her love for nature with kids. Since she also loves eating, Stephanie is excited to be writing about how food is grown and distributed throughout the North Country for Nature Up North. When she is not out on adventures, Stephanie enjoys dancing, cooking, and making music with friends. 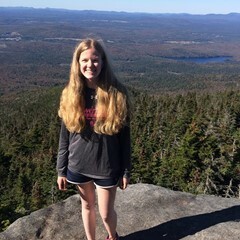 Izzy de Buy Wenniger is a sophomore at St. Lawrence University majoring in Environmental Studies and Philosophy, and minoring in Outdoor Studies. She is originally from the flatlands of Topsfield, Massachusetts but escapes to the mountains and rivers of VT, NH, and NY as often as possible. She is an avid skier, hiker, climber, and summit snack enthusiast. She hopes to share her love for the outdoors with as many people as possible while interning at Nature Up North! 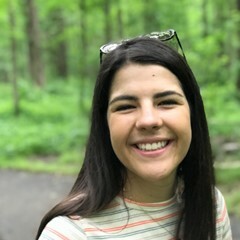 Liesl Magnus is a sophomore at St. Lawrence University majoring in Environmental Studies with an interest in local, state, and federal policy and how legislation can affect people's relationship with nature. She is from Holderness, New Hampshire where she grew up hiking, trail running, mountain biking, and nordic skiing in the White Mountains. 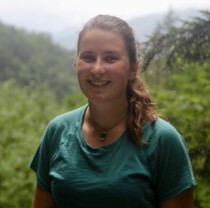 She has a passion for conservation and outdoor education and is hoping to learn more about the North Country outdoor community through her internship with Nature Up North! Guinevere Gilman a senior at St. Lawrence University majoring in Computer Science and minoring in Studio Art. 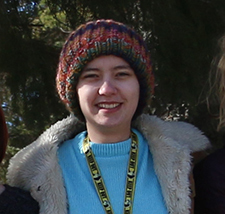 She is on the Computer Science team at Nature Up North, where she is working to improve the online Citizen Science platform. Guinevere also enjoys working as a teaching assistant in the Computer Science Department. She is 21 years old and from Exeter, NH. She enjoys skiing and bird watching, as well as nature photography. Jess Prody is an Assistant Professor of Performance and Communication Arts and Faculty Coordinator of the Sustainability Program at St. Lawrence University. Her research interests include Environmental Communication, Food Rhetoric, Feminist Rhetoric, and Citizenship. During the Spring of 2017 Nature Up North collaborated with TAUNY and students from Jess's Environmental Communication course on a project exploring environmental and cultural change in our region, through a variety of lenses, which culminated in a film screening at the TAUNY Folkstore. 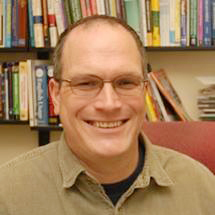 Eric Williams-Bergen is the Director of Digital Initiatives at St. Lawrence University. He brings together his knowledge of scholarly resources and emerging technologies to help the libraries and IT focus on the planning, implementation and support of digital projects such as LIT web resources, digital collections and institutional repositories. Also a homesteader, Eric has served as a board member for GardenShare and specializes in developing websites for local nonprofit organizations and cooperatives. He has played a key role in developing St. Lawrence University’s new Sustainability Semester. He received his undergraduate degree in Philosophy from St. Lawrence University and a Master’s in Library and Information Science from Simmons College. Outside of his work for the University, Eric enjoys spending as much time as possible in the natural world, including kayaking, hiking, and biking with his family. Sara Ashpole is an assistant professor of Envionmental Studies, receiving both her undergraduate and masters degrees in Zoology and Tozicology from the University of Guelph, Ontario. Sara completed her Ph.D. in planning at the University of Waterloo, Ontario and is advising graduate students there. Since 1999, Sara's research has been collaborative with NGO, government, First Nation peoples, and private landowners examining cumulative impacts to amphibian, reptile, and turtle populations in the Great Lakes and South Okanagan Valley, British Columbia. Projects include long term amphibian population monitoring, wetland restoration and rehabilitation, road ecology, alien vertebrate species mitigation, agricultural eco-toxicology, landowner stewardship, community outreach and education. 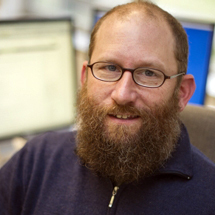 Dr. Ed Harcourt is an Associate Professor of Computer Science and the Chair, Department of Mathematics, Statistics, and Computer Science at St. Lawrence University. He specializes in programming languages and computer architecture. Prior to joining the St. Lawrence faculty, Ed was a software engineer at Cadence Design Systems in Chelmsford, Massachusetts. In his current position Ed focuses on providing undergraduates with opportunities to gain firsthand experience in applying their knowledge to the “real world,” particularly through by working closely with small groups of students to develop software solutions for complex problems. Ed has also partnered with school districts in Northern New York to teach computer programming and robotics at the K-12 level. Ed enjoys spending his time outside skiing, hiking, kayaking, and canoeing. He is also a volunteer fireman for the town of Colton, NY. Dr. Alexander Stewart is an Associate Professor of Geology at St. Lawrence University. Retired from the U.S. Army, Alex is a veteran of the Cold War and three foreign wars. More than twenty years of experience and life-changing events make him a unique professor. His experiences in the Army in Alaska directed his interests to obtain a PhD in glacial geology. He has worked as a glacial geology/geomorphology professor from eastern Kentucky to western Texas and north to St. Lawrence University. Alex’s research interests are varied, covering many aspects of surface geology. In addition, Alex is an avid scorpion biologist researching behavior on his self-collected scorpions from Iraq, Afghanistan, China and elsewhere.In his spare time, Alex enjoys hiking, managing his trail camera for carnivores such as foxes and coywolves, and just being outside!